Cannabis is becoming more acceptable all over the world since Canada has paved way for its legalization. The demand in the cannabis industry is growing, thus there are more career opportunities in marijuana dispensaries especially in countries where cannabis is accepted and established. Marijuana dispensary jobs are now becoming increasingly in demand, and the salary rate continuously increases every year. The cannabis industry has four main sectors: the cultivation, extraction, retail and in the ancillary commerce. These sectors prefer specific skills in order to land in with these positions. Marijuana Dispensaries offer competitive pay, attractive insurance benefits, and professional development. In this article, we will know more about the different jobs in a marijuana dispensary and how to distinguish it from one another. This position entails the managing of payroll, taxes, and budget. They keep a track record of the company’s finances. If the marijuana dispensary sells cannabis for medicinal purposes, it is the accounting/ administrator’s responsibility to manage the patient’s records and history. It is their responsibility to make sure that the growing area is in proper condition and that the cannabis plant receives the right nutrient. A cannabis grower must have sufficient knowledge about a specific strain because each strain has a specific way on how to be taken care of. In some dispensaries, it is the gardener/grower’s responsibility to facilitate the growth, execute trimming and finalize packaging of the cannabis product. Budtenders are the front liners because they interact with the client’s orienting them about the differentiation and the use of the strains. They should be knowledgeable about the different strains because they give bits of advice, especially for new cannabis cultivators. They are also considered as consultants because they guide the customers to ensure that they will have a good experience in the dispensary. It is their responsibility to cut the cannabis buds during the harvest season. They are also responsible for removing excess foliage to ensure that the buds get the maximum weight and height of the buds. There is no formal education required if you are planning to apply for a bud trimmer bud you should be able to practice being organize and proper hygiene. It is their job to make concentrates by extracting the cannabis turning it into oils, hashish, ointments, pills, and edibles. Making edibles out of cannabis can be complicated because you have to be precise with your measurements that is why experience in cooking and baking is a plus. 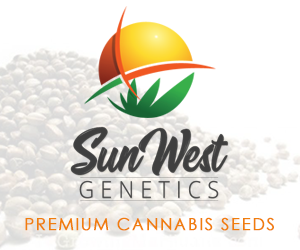 They are the ones who usually operate different types of equipment that produce high-quality cannabis products. A bachelor’s degree in Chemistry or biochemistry is a plus. It is their duty to provide resolution to customer’s complaints and feedback about their satisfaction. It is also their responsibility to recommend future promotions to increase sales. They are the ones who deliver products who are homebound or for orders purchased through their website. Having a delivery option especially for those patients who can’t make it into cannabis dispensary locations. It is a requirement to have a driver’s license with no mark of a criminal record. Having a website, social media accounts and emails are needed to promote and advertise. A website manager is helpful to answer queries from clients. A background in communications, graphic design and digital media is preferred in this field. It is there obligation to oversee the operations of the dispensary shop on a daily basis. They deal with law enforcement managing and they make sure that every transaction goes smoothly. They are considered as the face of a dispensary. Some cannabis dispensaries hire front liners that will greet customers, answer phone calls and process final sales transactions. You need to have the self-awareness to explore what you enjoy doing and what kind of environment you want to thrive in. In deciding on your role, it is necessary to know your skill set. If you have experience growing cannabis, this is a major advantage for you, most especially if you’re an advanced grower. You can become a consultant by people who want to grow their cannabis for personal use or commercial purposes. It’s crucial to have a cannabis growing background if you want to be a budtender. If you have a knack in web design and content writing, running a dispensary website can be your lifetime career. This role is crucial in the digital marketing of a company to ensure that customers will have updated information about the products available. Moz, specifically highlight the importance of SEO in any website, including cannabis dispensary websites in building good traffic, increasing brand awareness, boosting leads, and sales. Where dispensary would you like to work for? There is no business that is exactly the same so if you considering several companies, it is best to weigh your cons and pros. You might want to research about their current challenges and think of ways on how you can be an asset. Check the most common questions asked in the role you want to perform so you can easily pass the interview. Having a job in a marijuana dispensary can be challenging and at the same time rewarding. You must be enthusiastic to perform your duties and responsibilities in the dispensary and you must have the perseverance to face the challenges that you will be confronting. To be part of a cannabis dispensary entails familiarity with the cannabis products. Having the right knowledge about cannabis is an important factor if you want to be part of a cannabis dispensary. Once you’re in, you’ll be amazed about the endless opportunities and the things you’ll learn while you take your cannabis career to the next level. You just have to be patient and hardworking finding one of the best marijuana dispensary jobs for you. Good luck! Hybrid Cannabis Guide: How to Use it? Commercial Hybrid: How They Are Produced? Is it Good to Grow Marijuana Seeds in Canada?